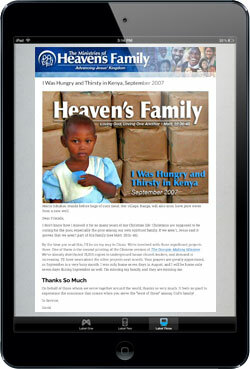 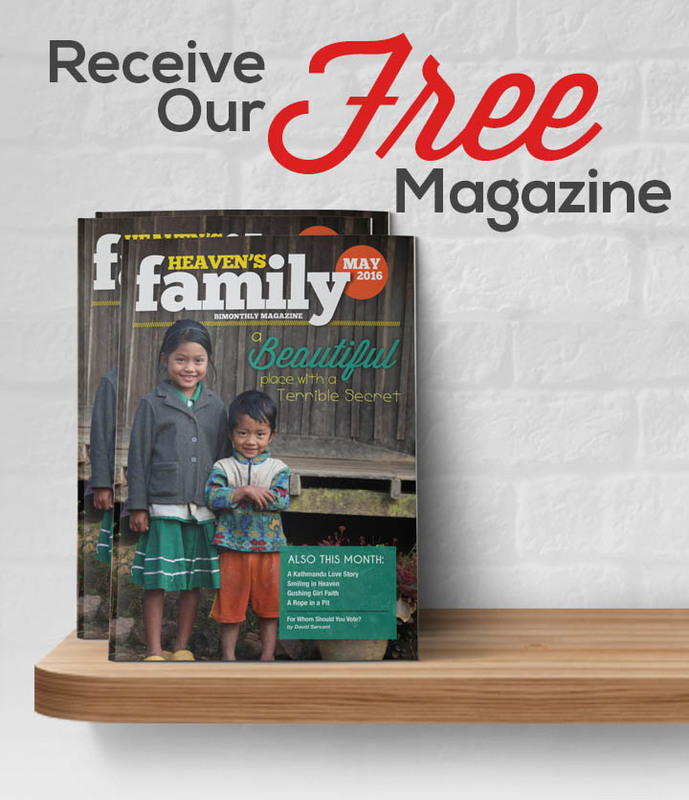 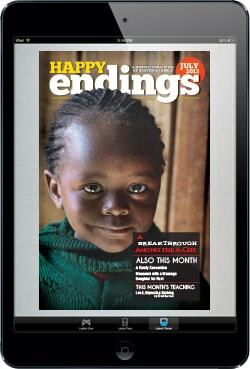 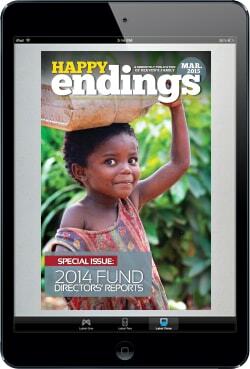 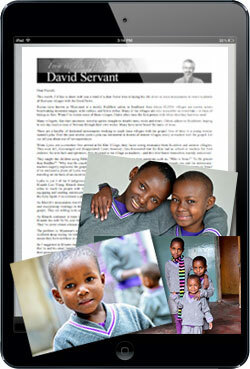 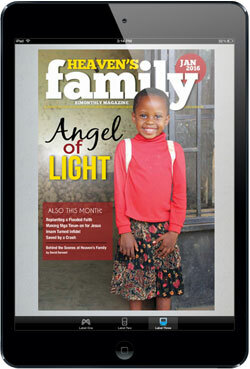 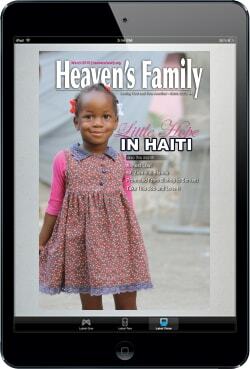 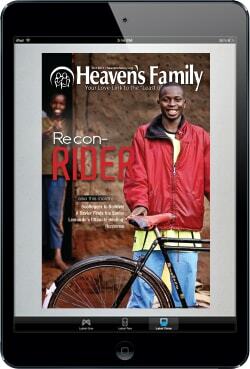 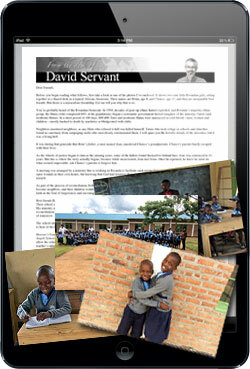 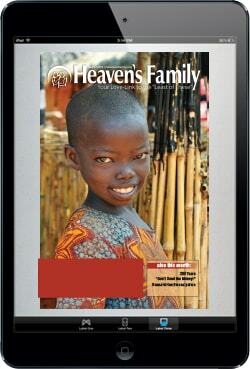 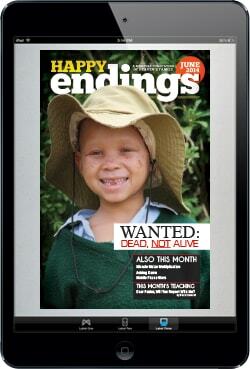 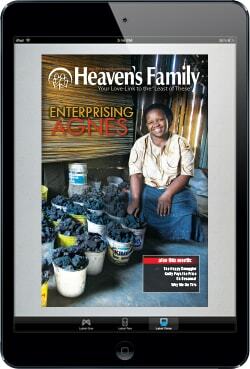 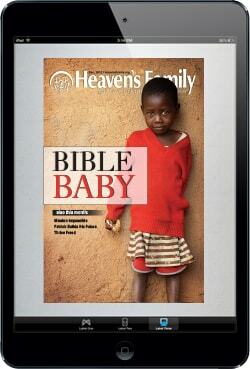 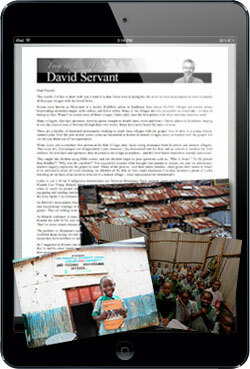 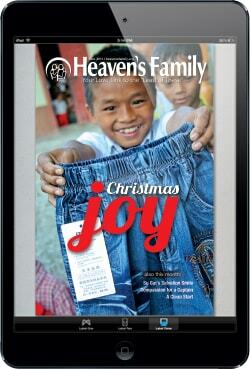 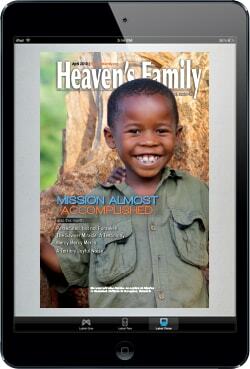 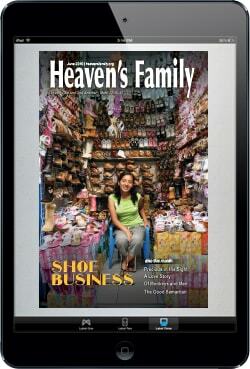 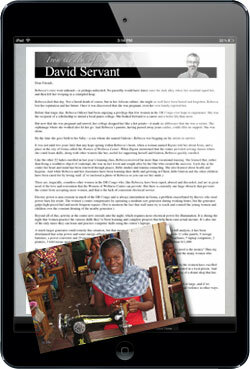 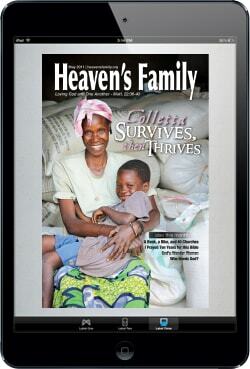 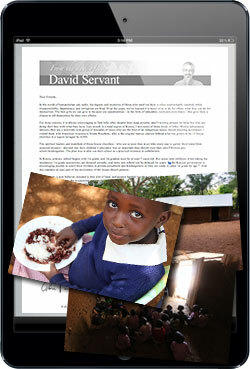 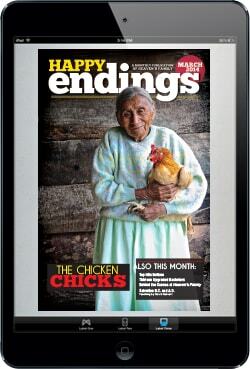 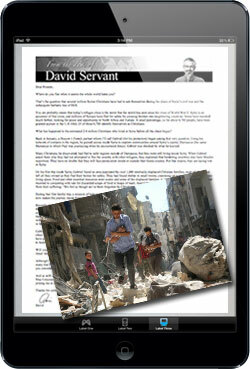 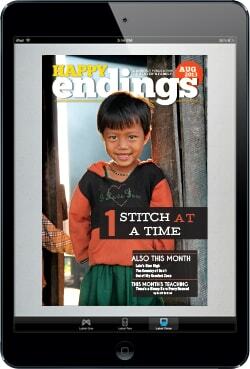 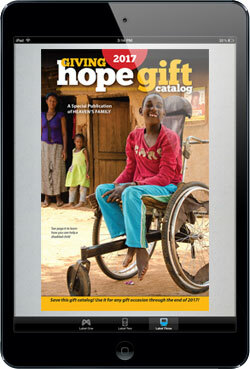 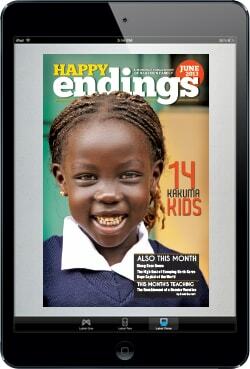 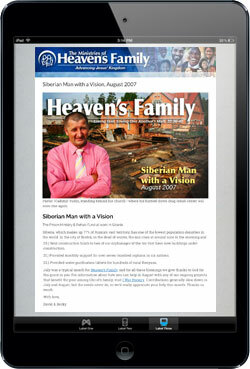 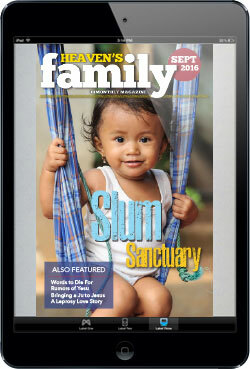 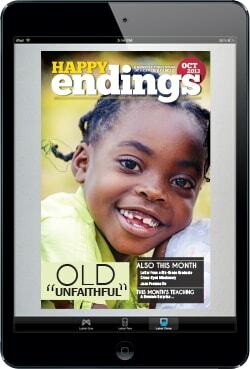 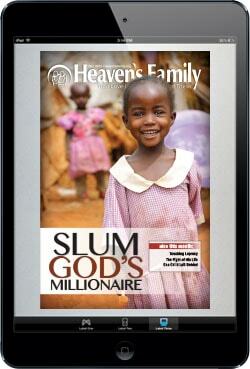 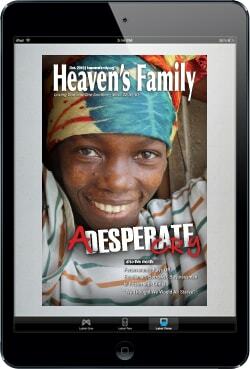 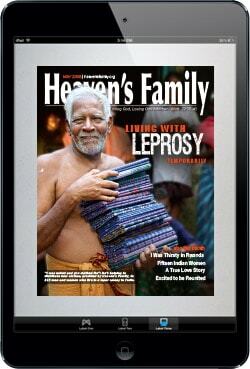 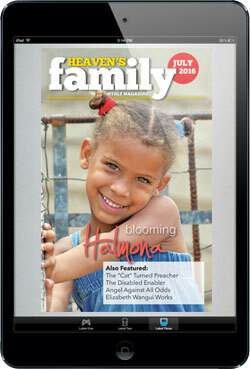 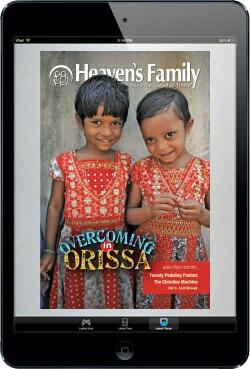 Enter your email address to receive our quarterly magazine directly in your inbox! 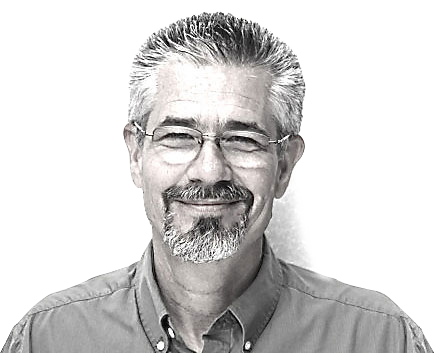 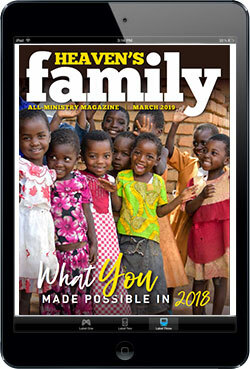 Those who invest in any of the ministries of Heaven’s Family deserve to be kept abreast of what their investments are accomplishing to advance Jesus’ kingdom. 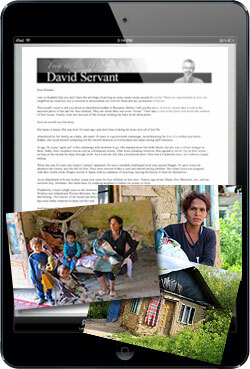 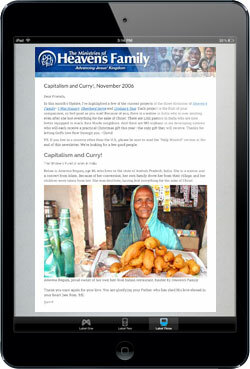 To that end, we send out “investment reports” via email, often write blogs when we’re checking up on projects overseas, and publish a photo-filled magazine four times a year. 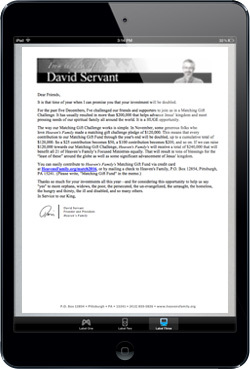 We want you to be fully informed. 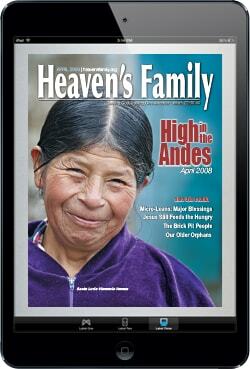 The archive below contains every magazine we’ve published since 2003. 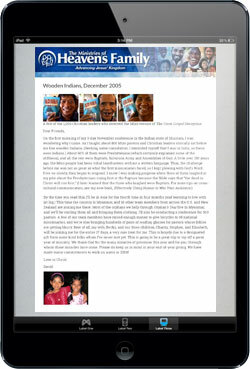 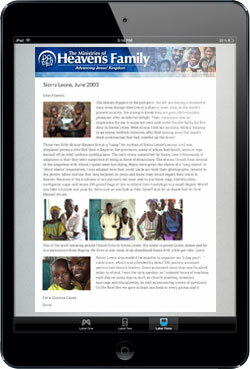 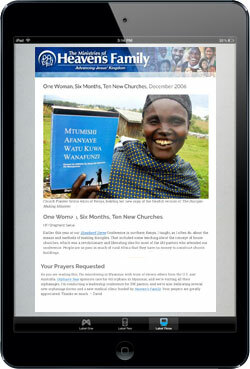 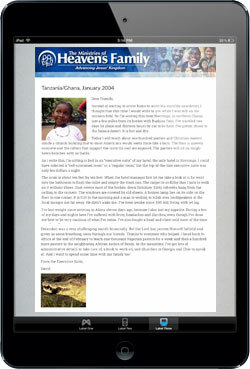 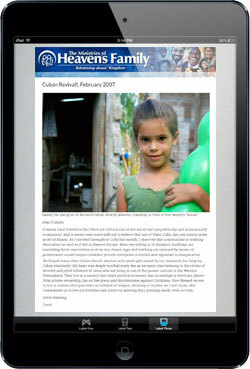 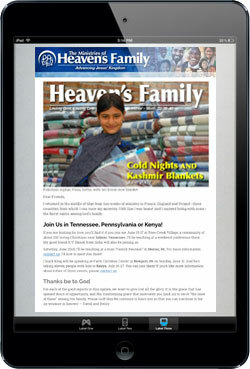 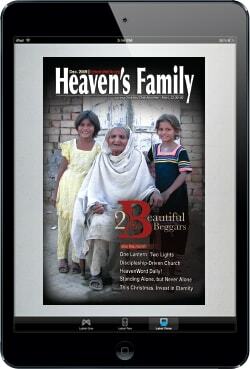 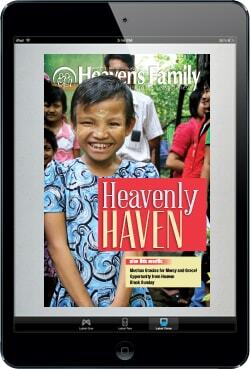 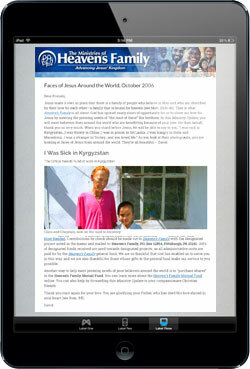 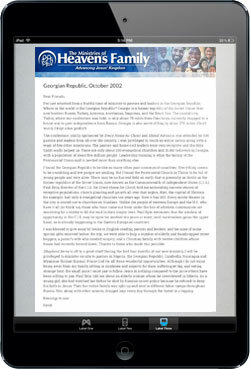 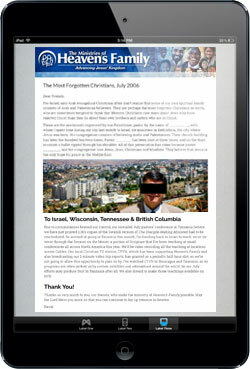 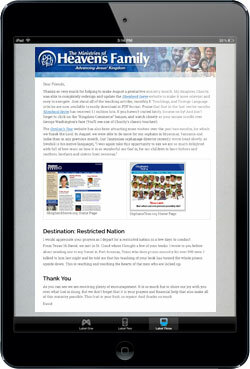 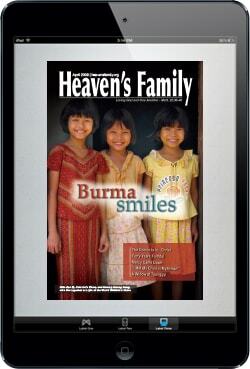 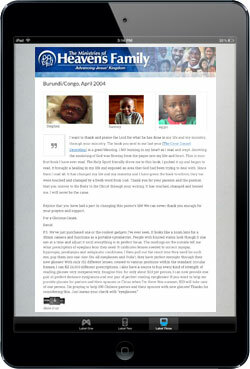 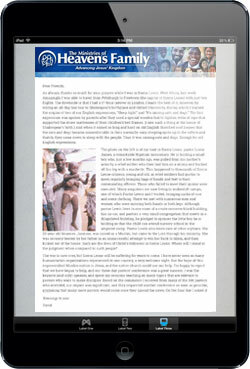 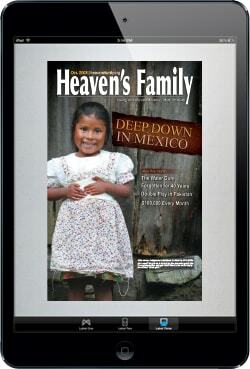 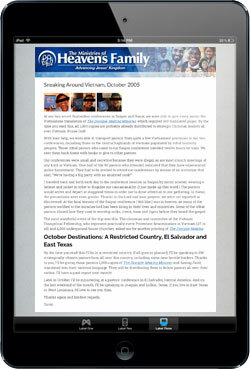 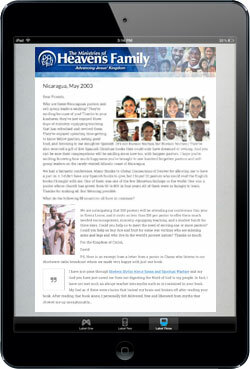 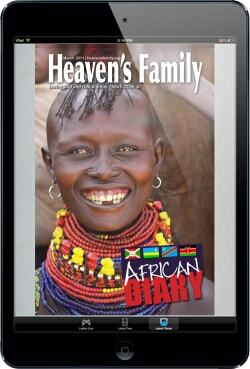 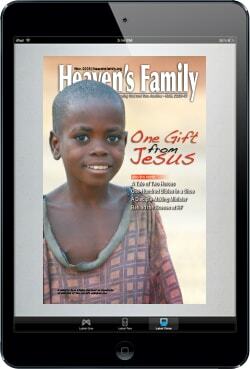 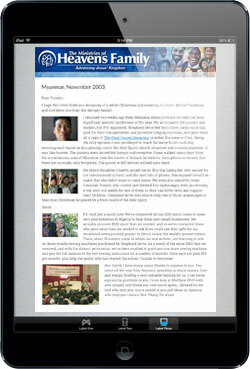 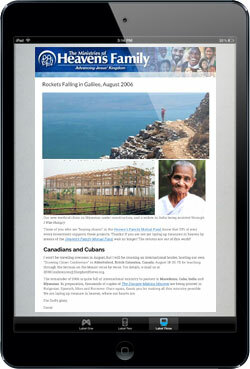 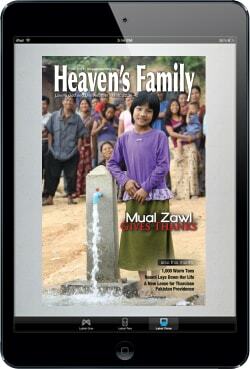 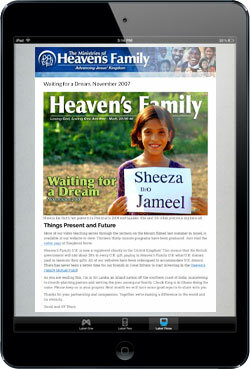 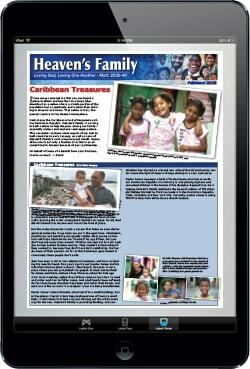 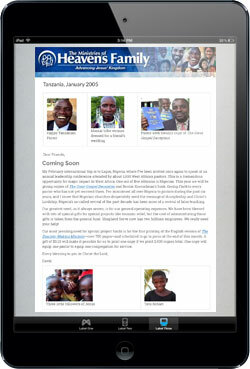 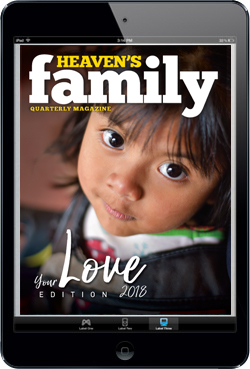 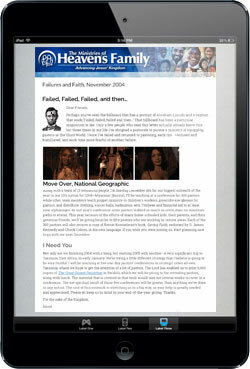 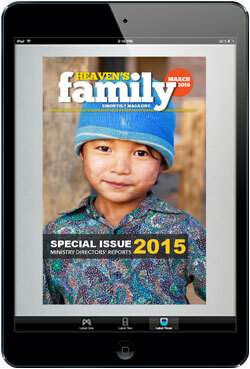 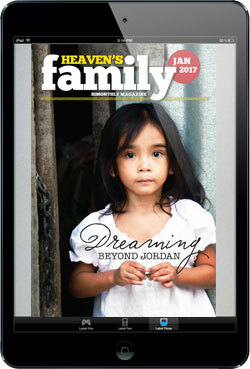 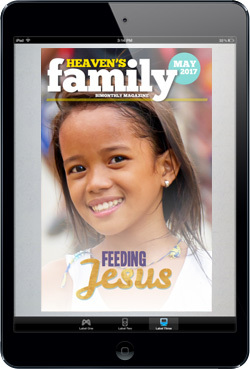 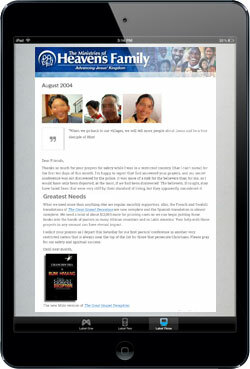 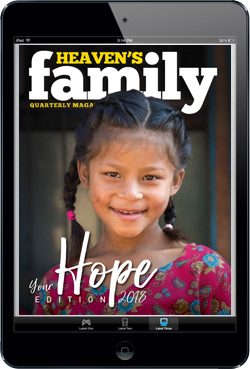 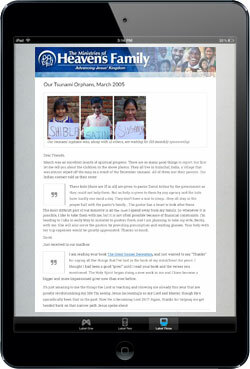 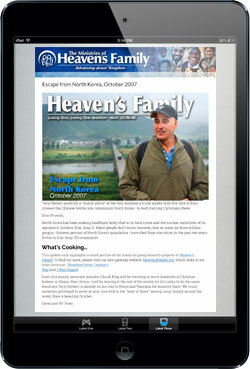 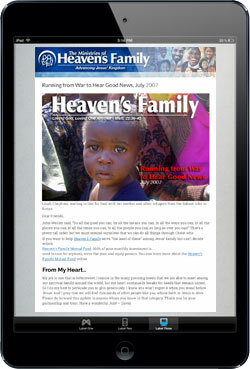 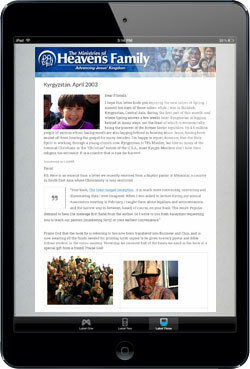 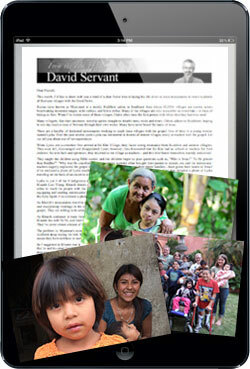 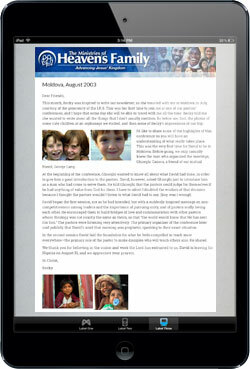 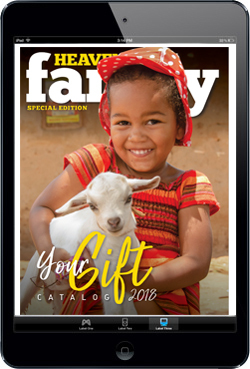 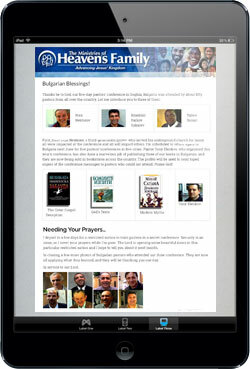 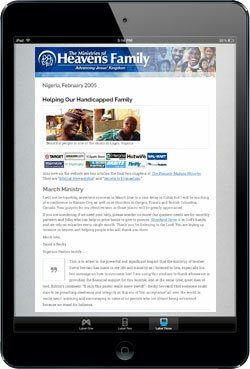 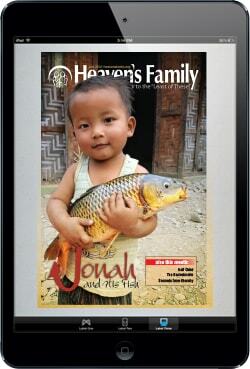 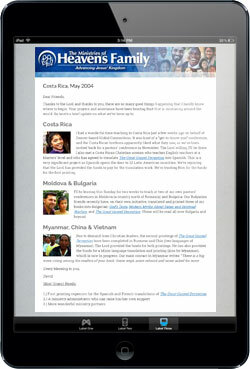 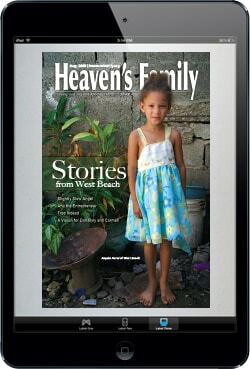 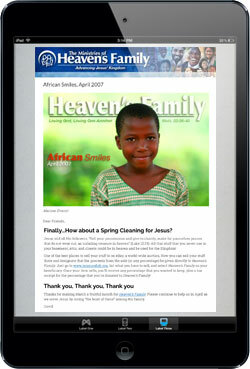 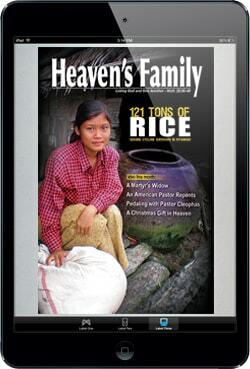 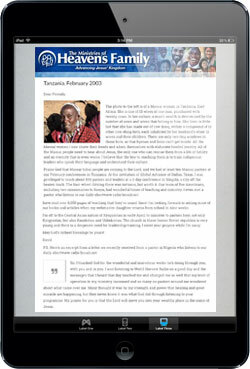 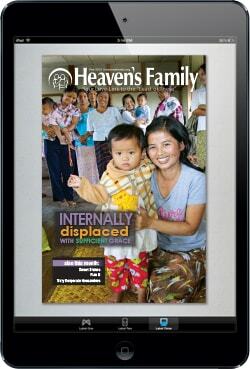 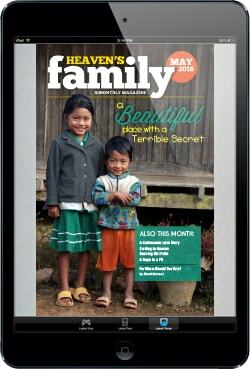 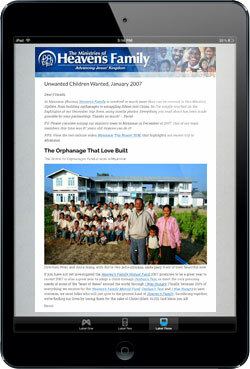 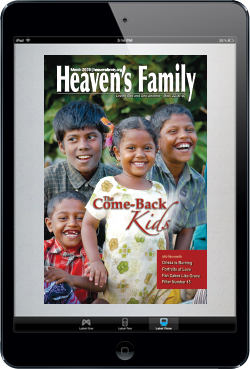 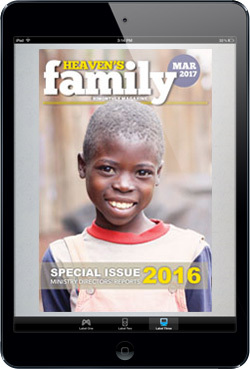 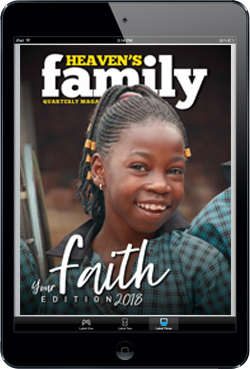 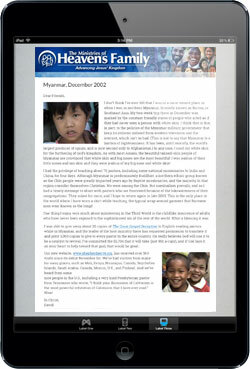 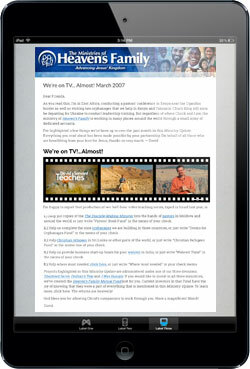 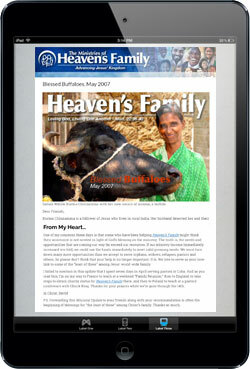 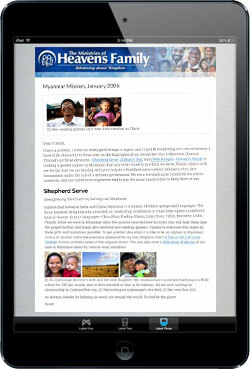 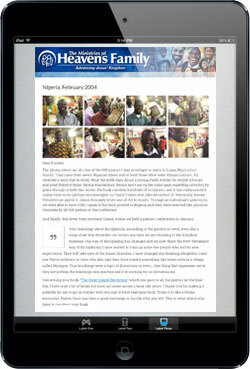 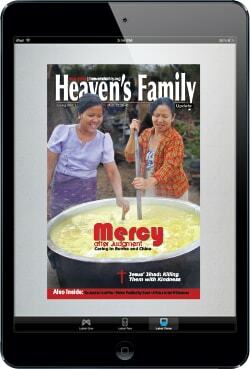 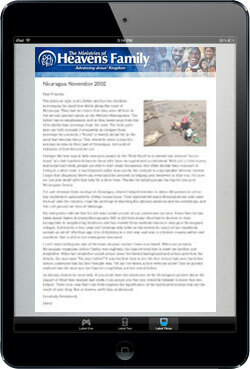 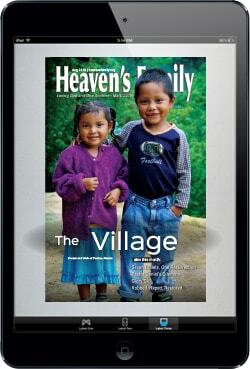 Looking back at Heaven’s Family’s ministry since we began in 2002, I’m amazed and humbled by all that has been accomplished. 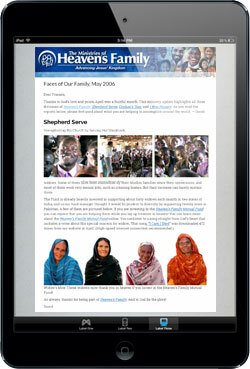 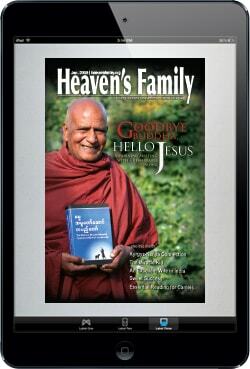 Tens of thousands of lives have been touched around the world due to God’s grace working through the friends of Heaven’s Family. 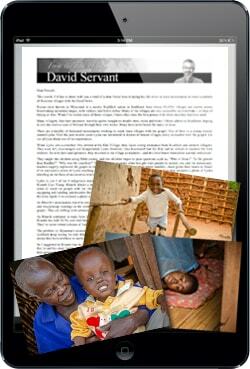 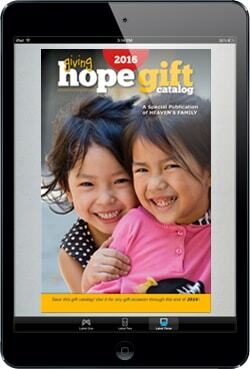 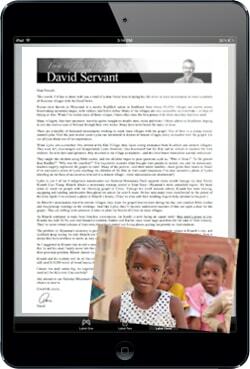 We’ve cared for orphans, widows, lepers, pastors, refugees, the persecuted, the poor, the handicapped, the hungry. 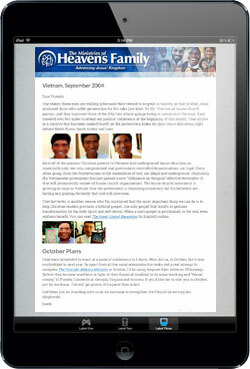 And we’ve spread the gospel and helped make disciples. 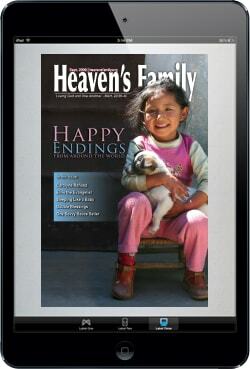 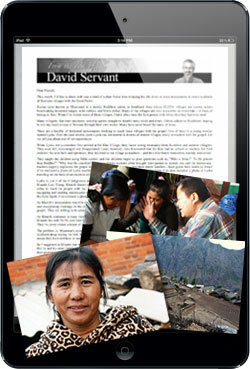 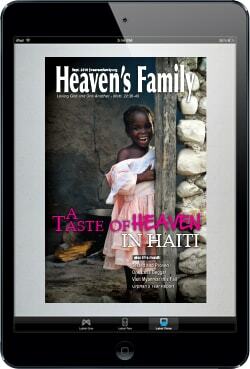 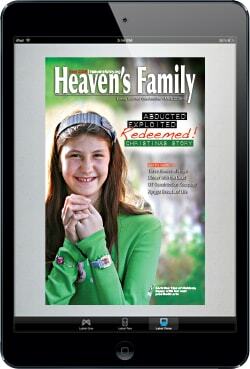 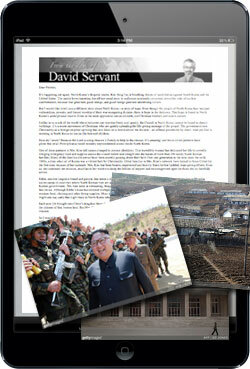 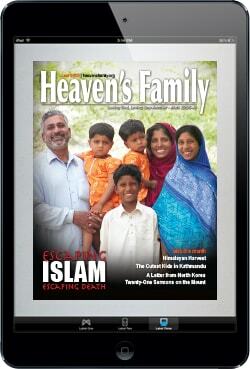 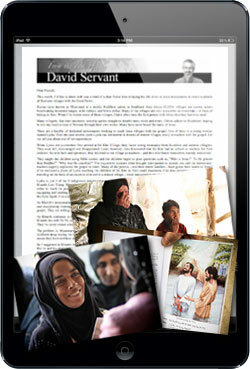 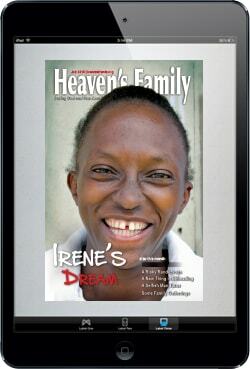 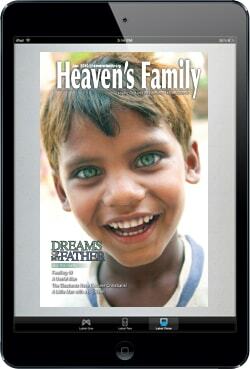 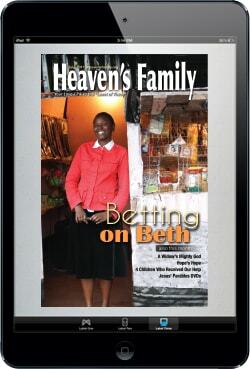 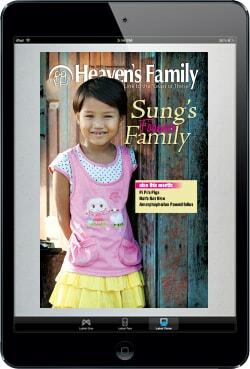 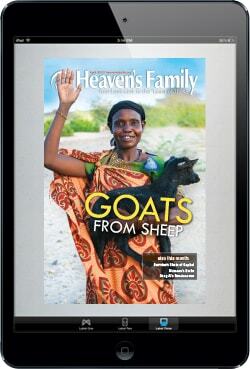 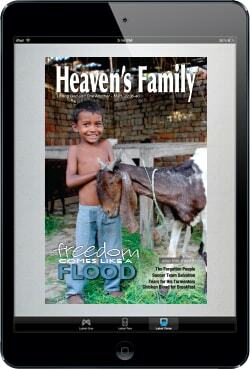 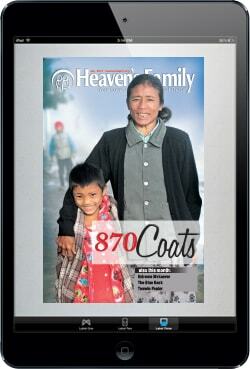 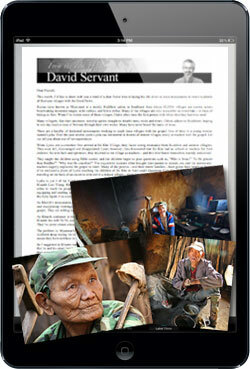 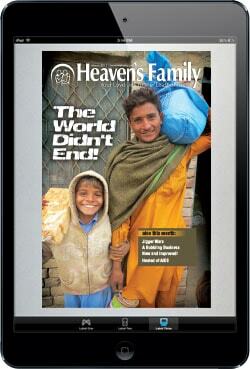 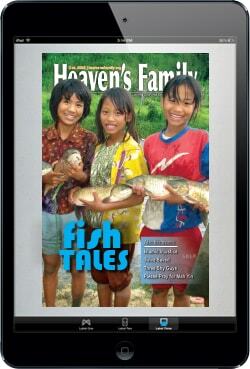 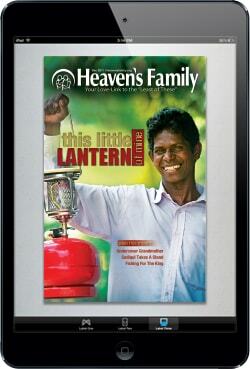 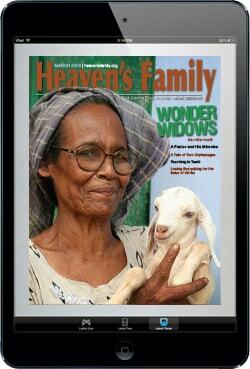 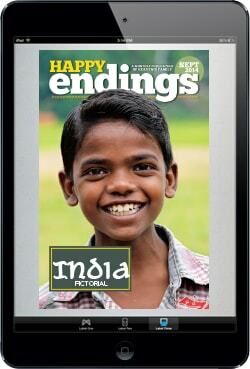 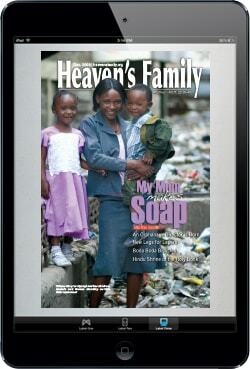 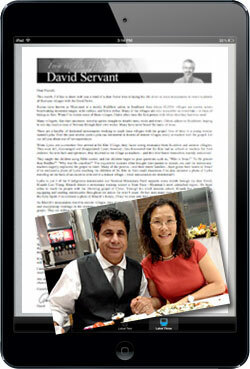 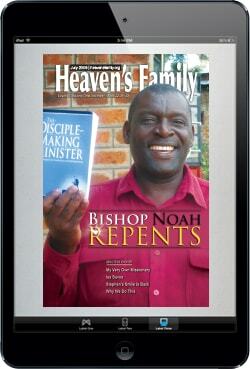 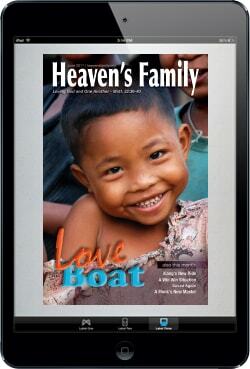 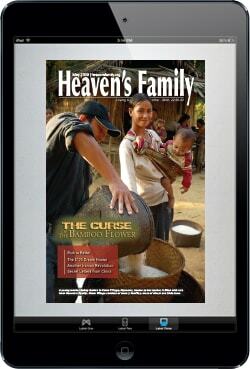 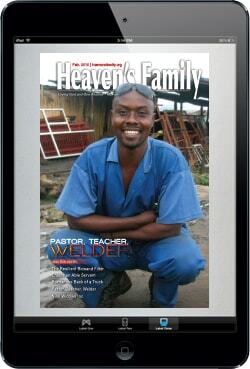 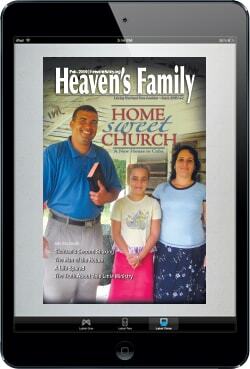 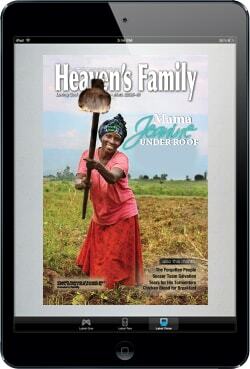 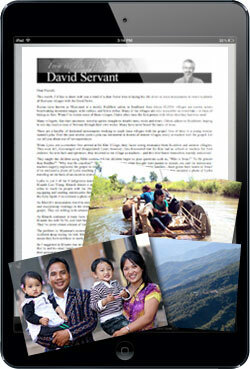 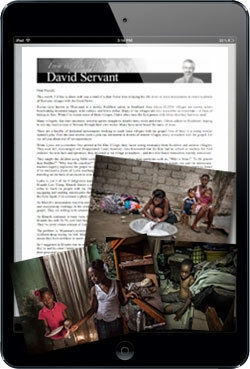 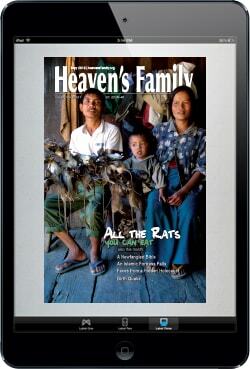 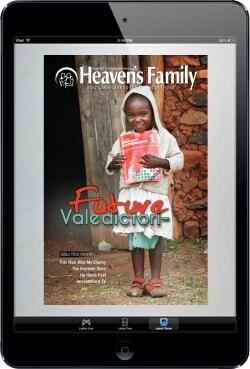 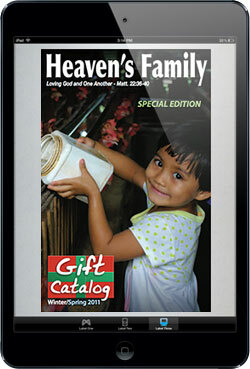 Just click on any thumbnail below to read a past issue of our magazine.